Your face tells people a lot about you, including how much you laugh, smile and frown. As we age, our skin loses its ability to spring back to its natural state after making these expressions. That lack of elasticity, combined with a loss of volume, means more and more dynamic wrinkles—those you’ve gained from your facial expressions and mannerisms—become permanent, aging your appearance. At Vitality Medi Spa in Halifax, we use neuromodulators such as BOTOX®, Dysport® and Xeomin® to address the cause of “dynamic wrinkles”. This safe, effective treatment option is most commonly used to reduce the appearance of frown lines and forehead wrinkles, crow’s feet, and lines around the mouth. Wrinkle treatments can even be used to lift the brow and corners of the mouth, or contour the jawline and neck. Wrinkles are formed when muscles in the face move, and neuromodulators are designed to combat the movement that causes wrinkles and lines to occur. During the treatment, very tiny amounts of BOTOX® are injected into specific facial muscles to temporarily weaken them. Once relaxed, the skin is able to recover from the repeated motion, and wrinkles and lines become much less pronounced. Cosmetic physicians have been using BOTOX for over two decades, and it is the leading option for reducing facial lines and wrinkles. It can even be used in the treatment of excessive sweating and migraines. Each customized treatment plan begins with a complimentary consultation with Dr. van Aardt in our medi spa on Spring Garden Road in Halifax. As President of the Canadian Association of Aesthetic Medicine, Dr. van Aardt has been practicing cosmetic medicine for decades, and has designed state-of-the-art approaches to BOTOX treatments that provide subtle, natural-looking results. With no downtime, you’ll be able to leave your treatment and return to your previously scheduled activities. As BOTOX therapy is not a permanent solution, your customized plan will outline the recommended frequency of treatments depending on your goals, lifestyle and how deep your wrinkles are. With regularly scheduled treatments, it is possible for the effects to last for extended periods, and even for wrinkles to disappear completely. 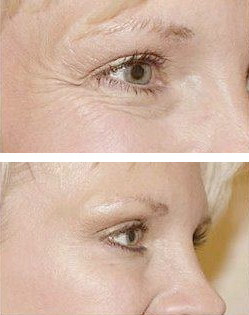 In cases where wrinkles are quite deep or have taken years to form, it can take time to see results. For patients concerned about avoiding the inevitable signs of aging, it is possible that using BOTOX early can help prevent lines and wrinkles from forming. BOTOX addresses the cause of wrinkles—repeated movements—and works well in conjunction with other treatments, like dermal fillers and radio frequency energy treatments. Dr. van Aardt has developed several anti-aging treatments that combine BOTOX with other services to help you rediscover your youthful glow. By combining dermal fillers with BOTOX, our Soft-Lift treatment helps to soften the appearance of fine lines while restoring lost volume. Dr. van Aardt’s signature procedure is Rejuva-Lift. This option uses the dermal fillers and BOTOX included in the Soft-Lift, and adds radiofrequency treatment to increase collagen production and tighten the skin. Get started now to see how a discreet change can have a huge impact on your overall appearance and confidence. Schedule your complimentary consultation today!